Wayne Gretzky Indianapolis Racers “pre-RC” from the 1990s In the early 1990s, a different kind of fake Wayne Gretzky card surfaced. 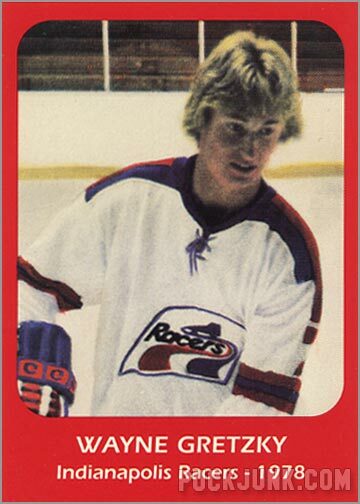 Instead of counterfeiting Gretzky’s 1979-80 O-Pee-Chee rookie card, an enterprising crook decided to take things one step further, and make a card of Gretzky as a member of the Indianapolis Racers. Now, pretty much … Continue reading "Card of the Week: The Fake One"